Bruno Mars HOTIEEE<3. AWW. HD Wallpaper and background images in the 브루노 마스 club tagged: 2011. This 브루노 마스 photo might contain 온수 욕조, 물, 수영, 목욕하는 사람, and 목욕. Who are that people around Bruno? Love ya Bruno! !is thats your ? tht not bruno cuz bruno hav tatoo but here none!!!! 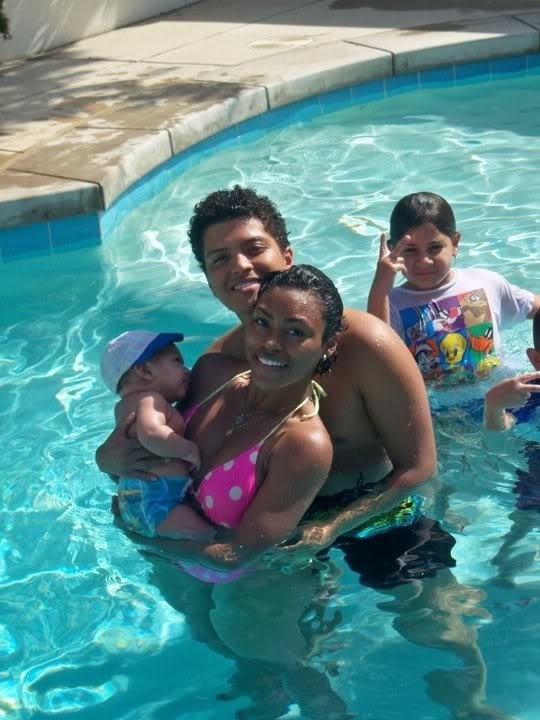 Wishin that was me next to bruno holdin that cute baby is that his?